The Work Truck Show covers more than 500,000 square feet of exhibit space — featuring vocational trucks from Classes 1–8, including chassis, bodies, components, equipment, technology and accessories. New for 2019, New Exhibitor Pavilion (Rooms 137–139, just off the display hall) showcases companies exhibiting at the Show for the first time. 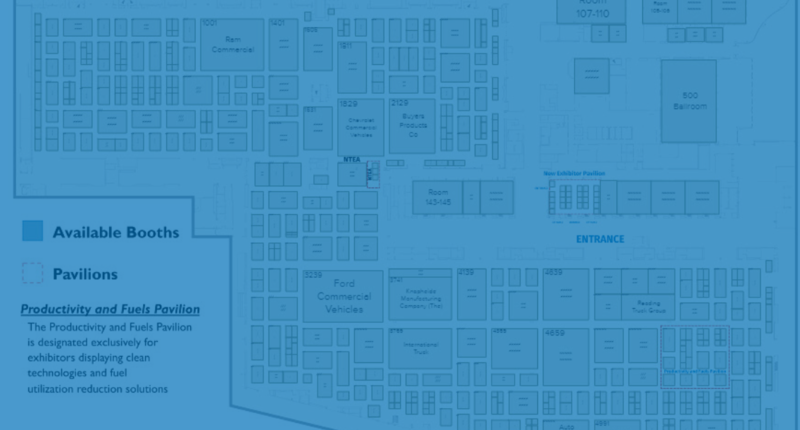 Click image below to access the interactive floor plan and explore exhibitors, booths, product categories and more. Wednesday, March 6 10 a.m.-5 p.m.
Thursday, March 7 10 a.m.-5 p.m.
Wednesday, March 6 9 a.m.-4 p.m.